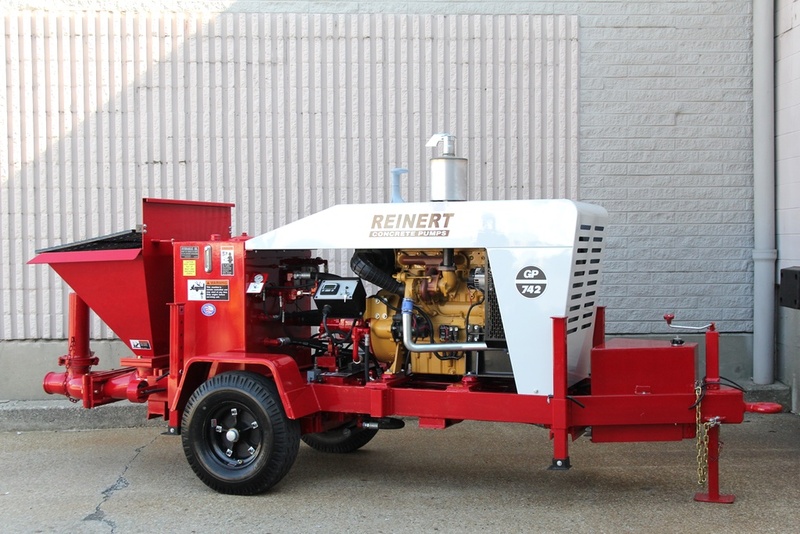 Whether you are looking for Concrete Pumps, Grout Pumps or Masonry Pumps, you can find it all at Reinert. All models of our Concrete and Masonry Pumps feature our patented Hinge Valve, giving you easy access for inspection of the valve cups and material cylinders. Our pumps are built to last, engineered to keep it simple and get the job done. We are here to make sure that the product you receive is the best is can possibly be. 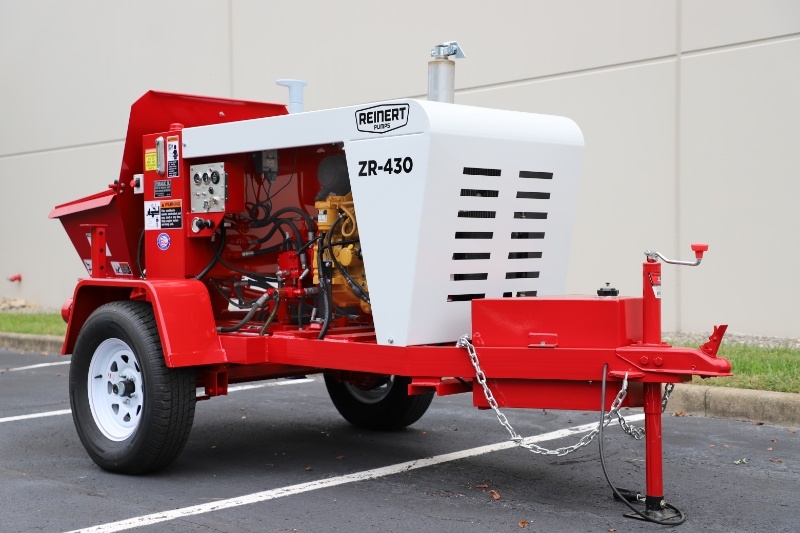 Our trailer-mounted Concrete Pumps are affordable, reliable and built to last. Ideal for pumping shotcrete, small slabs and flat-work pours. An excellent hydraulic ball valve pump choice. No electric which means less downtime. 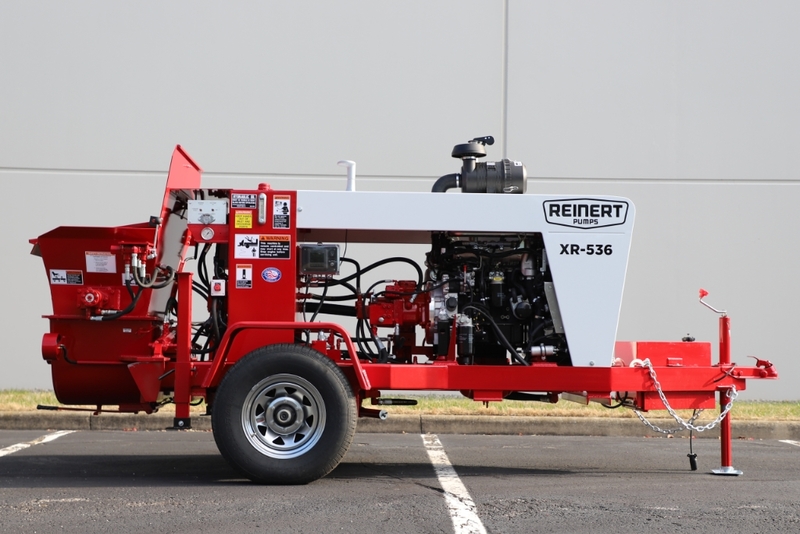 Built for auger cast applications and high volume grout jobs. A step up from the mechanical ball pumps. Our Masonry Pumps offer the ability to pump footers, block fill and small slab pours. Features a reverse cycle. Do you need to order parts? Order genuine Reinert parts today! Proudly made in Florence Kentucky, USA, with over 45 years of concrete pump manufacturing experience and industry innovations. 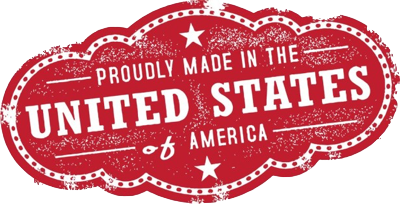 We put American pride into our products and customer service, providing you with USA made quality, craftsmanship and a superior product. We are committed to providing our customers with excellent products and product support. The standard Reinert warranty covers defects in factory materials and workmanship, under normal use and service, for 90 days from the date of first use or retail delivery, whichever is earlier.